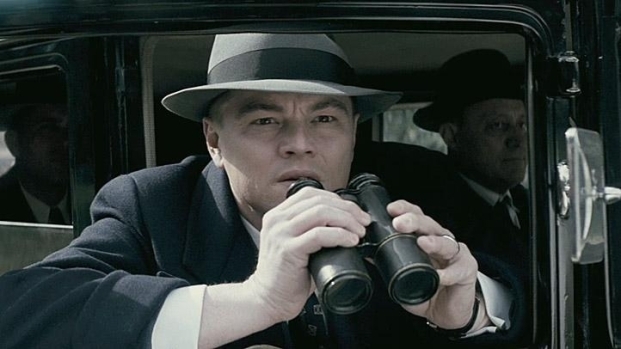 "J. Edgar," starring Leonardo DiCaprio as the notorious lawman who kept a watchful on this great nation for half a century, has finally delivered a trailer, thus beginning its long slow March to Oscar night. Co-starring Armie Hammer, Naomi Watts and Judi Dench, and directed by Clint Eastwood, 'J. Edgar" is positively dripping with Oscar aspirations with its A-list cast and a historical subject that still resonates in a time when the past two presidential administrations have trampled on your civil rights in ways that would've made Hoover swoon. The trailer is pretty, DiCaprio's make-up and prosthetics look good and Dench's tear when she see Edgar hold hands with his one true love is perfect, but it hard to get a sense of what specifically the film is about--beyond the obvious. Hoover's life was too long and too controversial--and just plain weird, frankly--for a bird's-eye survey. "J. Edgar" goes into limited release Nov. 9.